The Big Question: Can older timeshare resorts continue to be owner-controlled, run by a Board of Directors, and be successful? The quick answer: yes. Timeshare resorts can continue to be owner-controlled and run by elected Boards of Directors. The key is making sure the resort is managed properly. SPM Resorts, Inc. believes in timeshare resorts maintaining their independence. Timeshare resorts were built to be an affordable way for travelers to own their vacation without the costs of owning a second home. A volunteer Board of Directors, comprised of owners, is the best way to ensure the resort stays focused on the owners’ vacation experience – and that includes everything from keeping fees affordable to making upgrades. We are a relationship-driven company serving as the agent, advisor and steward of the board of directors and ownership. We partner with resorts for a mutually beneficial relationship for the long haul. Our transparency in management is unparalleled and is evidenced by our top notch monthly financial reporting, communications with Boards and owners, and our commitment to quality management. “Maintenance fees are the lifeblood of an association,” is a statement you will hear from SPM Resorts, Inc. President and CEO, Bill Young, frequently. The ideal collections ratio for a timeshare resort to be properly maintained, with money going towards operating costs and reserves, should be 90% or greater. The industry average is 89%. As older resorts face increasing delinquency rates, the inability to develop affordable programs to get deeds back to the association once collections efforts have failed, have difficulty selling new inventory, and contend with soaring expenses, the question boards face is: how do we turn this resort around? In this article, we will explore the ways timeshare resorts can remain owner-controlled and continue to grow in the changing travel market. First, let’s point out the reasons why resorts should remain owner-controlled. The advantages to remaining owner-controlled. The biggest advantage to remaining owner-controlled is owners having input on the direction of their resort. Having owners serve on a board of directors collecting feedback from owners and making the decisions based on that feedback creates a vacation experience unlike any other. In 2013, the average price for a new timeshare was $20,460, according to ARDA’s 2014 State of the Industry Study. Palmetto Marketing, a timeshare resale company which handles the resales programs at 16 sold-out resorts, reports an average sales price of $3,196, with the lowest price point at $1,666 and the highest $6,622. Older timeshare resorts are a bargain, and if exchange is what the traveler seeks, owning weeks at one of these properties is an extremely affordable way to travel. 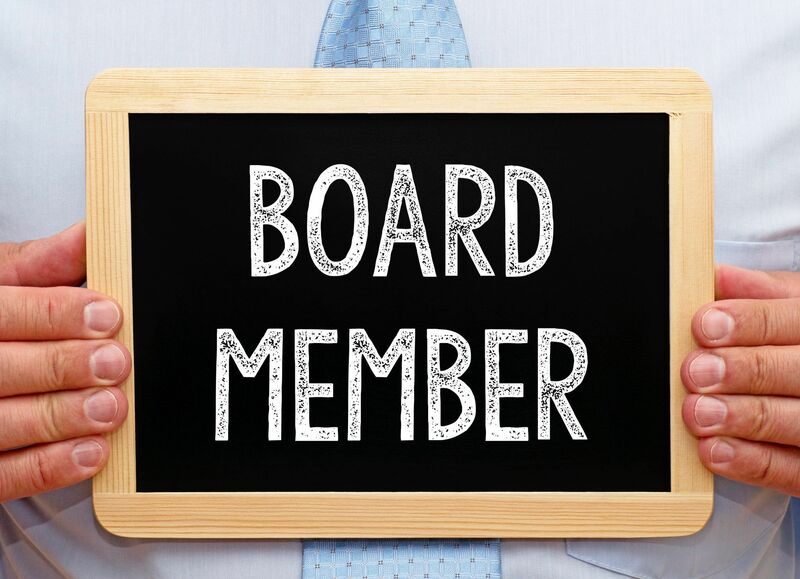 As with any HOA, the accountability of an owner-elected board of directors making the decisions adds a layer of protection to the owners that a third-party entity will not: every decision the board of directors makes directly affects them, too. They are owners. No one is personally profiting from the decisions made. How timeshare resorts can remain owner-controlled. In an ideal scenario, timeshare resorts with a happy owner base have the ideal collection ratio of 90% or greater, with funds in the reserves to cover consistent refurbishments and maintenance updates. Such is the case with Royal Dunes in Hilton Head, a resort with a solid, ongoing five year refurbishment plan. The board of Royal Dunes has astutely managed their funds and has a proactive, long-term strategy and vision for the property. Every year, the resort manages major renovations on one of the buildings until each building is complete. After all four buildings are complete, the board takes a year to plan for the next five year refurbishment project. All projects are budgeted with reserve funds, so owners always enjoy new units and amenities for their maintenance fee each year. Not all resorts are in this ideal position. To combat the loss in maintenance fees, some resorts have stalled making updates to the resort due to lack of funds or have turned to organizations that buy inventory to provide the much-needed influx of revenue. The resorts that are outdated experience increasing delinquency, while the resorts that are well-maintained or make major renovations experience owners coming back to the resort and a boost in sales. It can become a downward spiral: the resort gets outdated, owners lose interest in visiting, delinquency increases, and revenue drops. The good news is, the opposite is also true: the resort can be reinvigorated with updates, owner engagement, and attracting new visitors to the resort. These resorts have the potential to achieve the ideal point of sustainability. How to turn the resort around. SPM Resorts, Inc. has a strong record of revitalizing resorts. Resorts with collection ratios hovering around 70% have been able to increase collections with a solid collections plan. Resorts that had no other avenues of revenue other than the dwindling maintenance fees gained income through our vacation rental program. Resorts that had not replaced furniture in 30 years have been renovated. Rather than go through the laborious process of shutting those resorts down, the boards decided to take serious action. Here are the steps SPM has helped boards take to revitalize their resorts and put them on the path of sustainability. 1. Generate short-term revenue with a successful rental program. Timeshare resorts are ideal for today’s traveler, who are seeking out unique accommodations and like kitchens, bedrooms, and the living space that timeshare units typically provide. Generating income with a successful rental program will offset the losses of delinquent accounts and increase the collection ratio. Not all rental programs are created equal – having the ability to book online is not the only factor. SPM has a specific, proven method to vacation rentals and the proof is in the numbers: we make significant revenue for the resorts we manage. In fact, we recently generated $77,000 in new revenue in the first year after being hired by a new association. Having real-time access to available inventory, pricing it to meet market demand, having high online visibility, and positive reviews are all essential elements to maximizing revenue from unused inventory. Resorts need to have a system in place that allows the available inventory to be properly priced and marketed to travelers seeking accommodations. 2. Implement a solid collections policy. Creating a solid collections policy is imperative to increasing maintenance fee collections. Having mechanisms to keep owners current is the foundation to maintenance fee collection, like easy online options to pay their maintenance fees and sending reminders before they are late. Once the accounts are past due, SPM has relationships with the best industry professionals to present recommendations to the board to increase the debt recovery success rate. 3. Develop a deed recovery plan. On accounts where collections efforts have failed – and the board needs to define those limits – getting the deed back in the most affordable way either through a deed back program, non-judicial foreclosure, or foreclosure, is essential to getting control of the inventory. Once the HOA controls the deed, it can be sold to a new dues-paying owner. 4. Create a property improvement plan. Even small updates can make a major impact, like replacing tube televisions with flat screen televisions. Owners will appreciate the small upgrades. Major renovations – like a full interior refurbishment – allow the resort to recalibrate and begin a new cycle of ongoing maintenance and refurbishments. Owners previously disinterested in visiting will return. Vacation rentals will increase, bringing new prospects for an active sales program. The resort will attract new dues-paying owners. 5. Implement an active sales program. A successful vacation rental program not only generates income, it brings potential new owners to the resort. A successful sales program will meet with these vacation guests and share the benefits of vacation ownership, sell new weeks, and grow your owner base. 6. Create a long-term strategy. With the board focused on the long-term vision and sustainability of the resort, management can focus on the daily resort operations and executing the decisions made by the board. When a board is able to be proactive, tasking a trusted management team to take care of the daily details, members are free to turn their attention to the future. Are you a board member at a timeshare resort? Get our Board Member Strategy Planner to evaluate your resort’s operations and long-term strategy.